Listen to the cheers from shore or watch the focused determination of the athletes, and it’s easy to see that youth rowing is a sport with heart. Teens stay in top condition by cross-training and practicing long hours, with a select few earning a spot at US Rowing’s Youth National Championships. 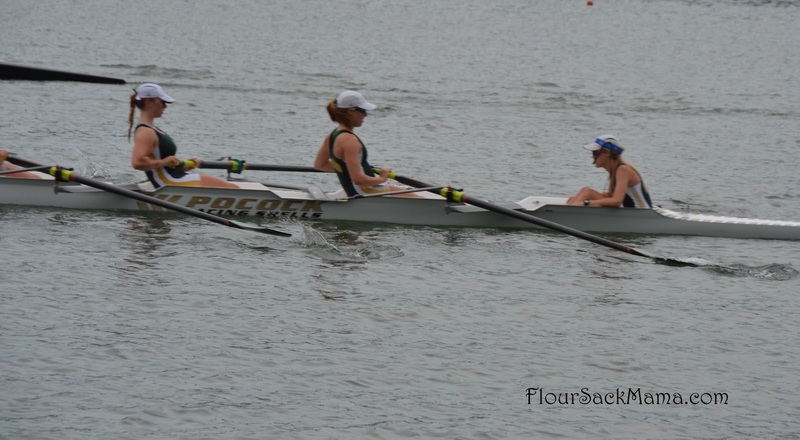 “Rowing is definitely a tough sport,” shared mother Kathy Petreski. 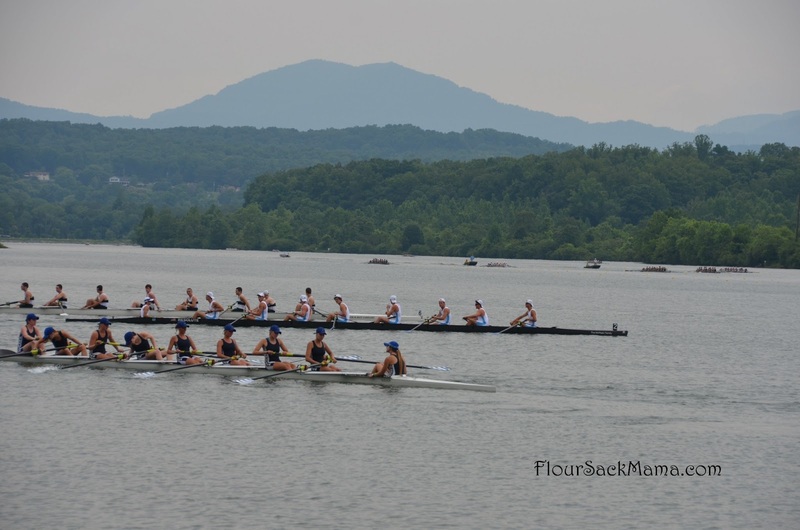 Her son, Stefan, joined a rowing club from Connecticut to compete in the nationals on Melton Hill Lake in East Tennessee. 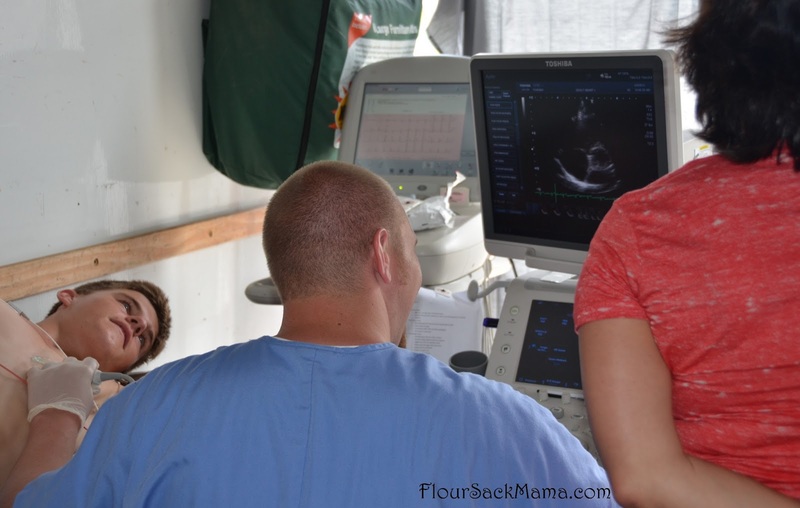 Petreski also signed her son up for a free heart screening during the championships. 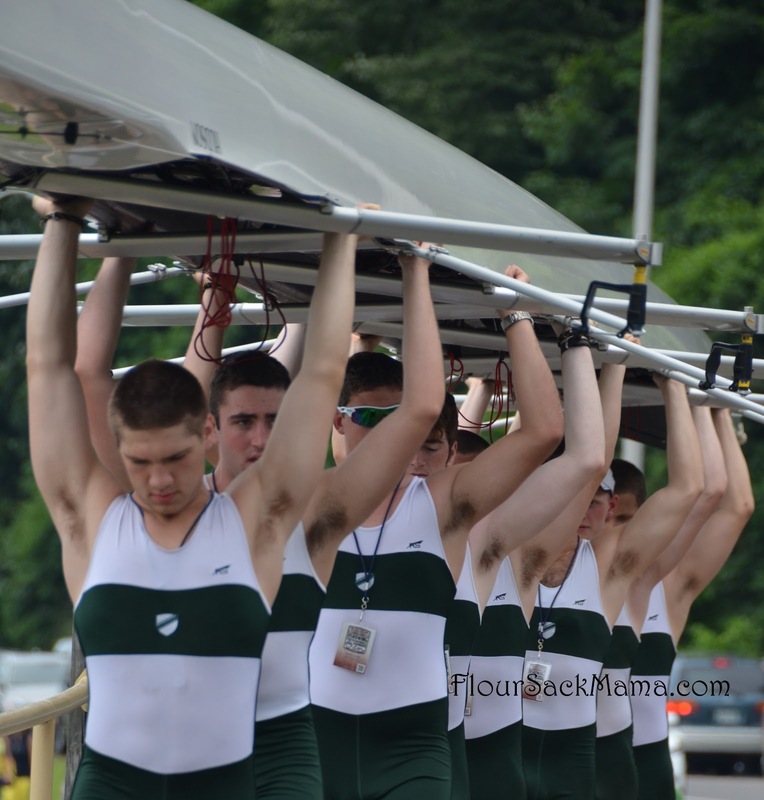 The high school senior has been rowing for three years and has no particular health concerns. But his mother liked the idea of his getting extra attention. “These guys are putting their hearts under a lot of stress,” Stefan’s mother added. While the typical sports physical covers heart health in some ways, the medical community has been debating whether further screenings are necessary to determine if young athletes are at risk for rare instances of potentially fatal sudden cardiac arrest. “It only happens in one out of 100,000 people, but if it’s your kid it’s 100%,” said pediatric cardiologist Dr. Michelle Grenier, a clinical researchers from the University of Mississippi Medical Center. The American Academy of Pediatrics has reported that studies show SCA rates may be increasing. 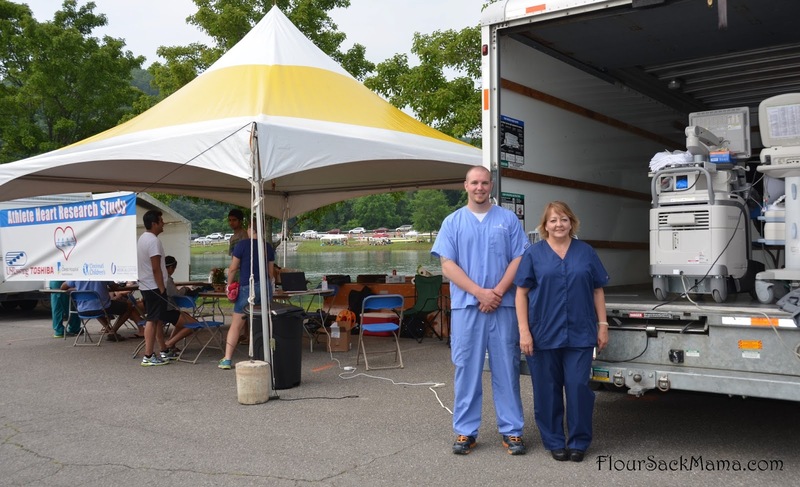 Dr. Grenier designed a streamlined mobile exam room in the back of a rental truck where young rowers received their free heart screenings on the last day of the US Rowing Championships. She and Dr. Menon interpreted results from both electrocardiograms (EKGs) and cutting edge echo cardiograms administered by technicians. While it’s common knowledge that exercise is generally good for fitness, the AAP has reported that youth with underlying cardiovascular disease are more at risk for SCA when participating in athletics. Dr. Menon explained, “We’re trying to define what is the athlete’s heart. There’s a lot of confusion as to who has an athlete’s heart versus who has a real bad heart. 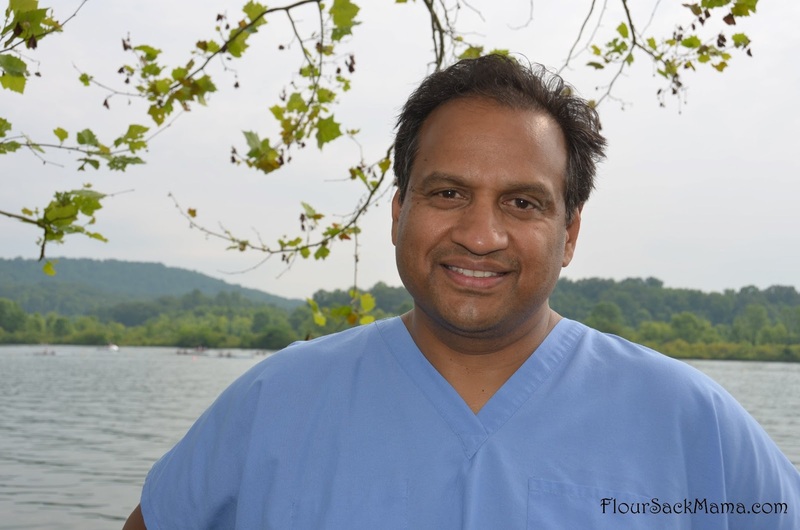 So we’re trying to do that and to look at unique changes in rowers, where it’s a unique activity, nobody’s ever looked at high school rowers.” Dr. Menon directs the Carl and Edyth Lindner Heart Failure Treatment Center at The Christ Hospital in Cincinnati. He says previous study has shown that an athlete’s heart changes within just a couple of years after taking up rowing, and that this is not necessarily reason for concern. Researchers hope more study will clear up some confusion about false positives on heart screenings. The EKG showed something unusual in rower Mats Terwiesch’s heart. But Dr. Grenier later told his father, Christian Terwiesch, that the more detailed echo cardiogram explained some of the nuances associated with an elite athlete’s heart. She used terms like “athletic-looking” when describing to father and son the characteristics she saw, noting, “you have to put it all in context.” Terwiesch says in his native Germany elaborate sports physicals with tools like stress EKG are more commonplace than in the United States. He would know, since Professor Terwiesch teaches about health care systems as the Andrew M. Heller Professor at the Wharton School of the University of Pennsylvania. Terwiesch said, “I want everyone to learn how to better care for our hearts,” and he knows that expense, time, and false positives are all reasons US doctors don’t use those tools more often. 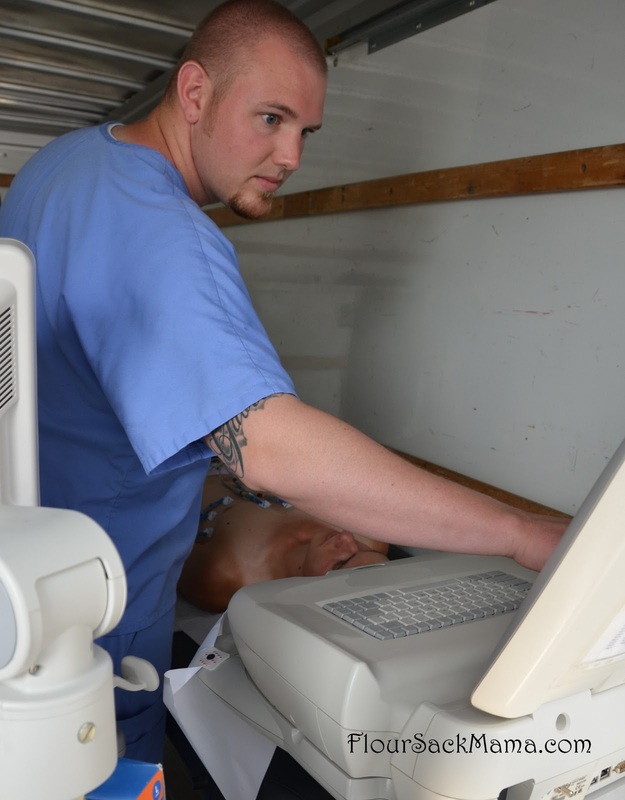 Toshiba’s new Aplio 500 CV ultrasound system used in this study provides a detailed, in-color echo cardiogram result in just about seven minutes. Tomorrow: A top cardiologist gives parents tips on how to connect with your child’s doctor when it’s time for a sports physical. 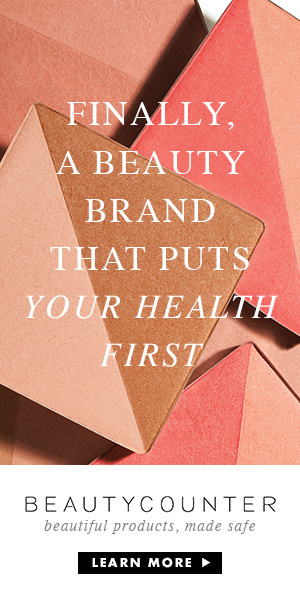 *This blog is not intended to provide medical or professional advice of any kind. Consult your medical professional with questions about your own family’s health and wellness, including heart disease risk, prevention and detection.